Run time: 1 hour 27 min. The market can show a strong trend or it can reverse. When you can tell which of those two faces the market is wearing now, you can make big money and protect your profits. Now, this groundbreaking course unlocks the keys to The Janus Factor. Janus, the early Roman god of gates and portals, is represented by two opposing faces, suggesting the two sides of a door and symbolizing the two-sided nature of things. 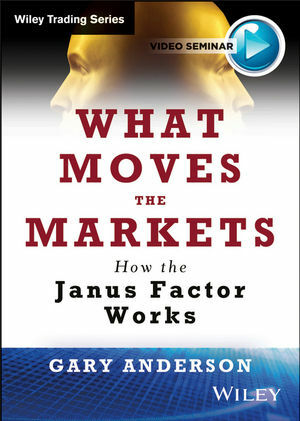 In this revealing course, thirty-five year market veteran Gary Anderson explains ''The Janus Factor,'' exploring the dual nature of the markets, the two sides of risk, and shows you how to work the system. Translate these market-moving factors into money-making strategies. If you want to follow the trend, you have to know when not to. Watch now to start putting the Janus Factor to work for your trades. Winner of the 2003 Charles H. Dow Award, Gary Edwin Anderson is a thirty-five year market professional. As an advisor to the pros, Equity Portfolio Manager, is a daily commentary read by an international clientele of banks, mutual funds, hedge funds, and financial advisors. A principle of Anderson & Loe, Inc., Gary has been featured in Barron's and his work has been published in Technical Analysis of Stocks and Commodities and is regularly quoted in the Wall Street Journal and Investors' Business Daily.